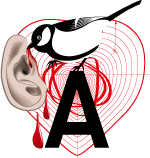 The FM4 Soundpark is a web-platform, community, and radio show for Austrian musicians. Every month, one act is selected to be highlighted both online and on air. The FM4 Soundpark act of the month. Feel, cry, laugh, dance along. A good pop song can act as a reflection of your own inner life. The Viennese musician MIBLU currently delivers very good content: She is the FM4 Soundpark Act of March. There are very few of my musical discoveries of the past half year that I have talked about more than MIBLU. A few months ago I spontaneously stopped by Futuresfuture´s label party when MIBLU was on stage performing her song “Still Me”. The song immediately got a spot on my favourite playlist and, as my trusty streaming platform told me, slipped into my top 3 songs of last year. Not much later, on the occasion of the FM4-Soundpark birthday, I compared the electro pop of “Still Me” with Lorde. With “Green Light” Lorde wrote a song for the depressing, lonely, aftershow party in a taxi, somewhere between remorse, despondency, the confused voices in her head and at the same time the soft echo of a new beginning. With MIBLU’s “Still Me” the doubts also change into a loud “Yeah!” to life and to oneself. Still an important message in the age of self-optimization: heart on your sleeve, head held high. “Still Me” is a hymn for all post-millennials after dating apps like Tinder and Co: I’m enough for myself. “Still Me” is not the first single by Viennese musician and jewellery designer Miriam Orth-Blau. Her first song was “Shooting Stars” – and was presented to her label for the first time in a rather random listening session. Actually, her label mates Naked Cameo were the focus of attention. Anyway: “Shooting Stars” helped MIBLU get the label contract. One pop hit after the other: Miriam Orth-Blau comes musically from another world. She performed with a Viennese Funk/Soul jazz band for a long time, wrote her first songs for them, concentrated on her vocal performance. 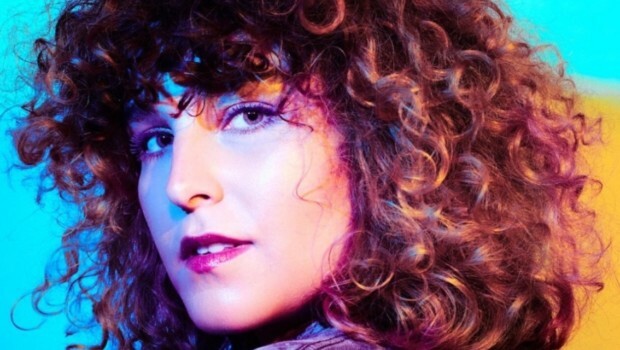 Afterwards she switched from analog music to electronic music, her solo project is the newly chosen focus, one in which the songs are based less on piano or guitar chords than on a beat. “No, I’m not a producer,” laughs Miriam in an interview. Tiemo Frantal supported her on her debut EP “Too Close”. And not just anybody mastered: Pete Maher has also worked with Lana Del Rey, U2 or Jack White. None of MIBLU’s first two singles mentioned above were featured on the EP titled “Too Close”, which was released on March 8th. “Although the EP follows on from the two songs, it still stands for itself,” Miriam says. Already after the release of the current single “Duchess” the change of direction was clear: tempo out, R’n’B and crispy, often metallic sounding beats in. It’s remarkable for an artist to formulate a new sound claim immediately after the first two singles – and for the EP. Not because the previous should be forgotten, but to expose more facets. But it fits to the fictional figure “MIBLU”. The “Duchess”, mentioned above, “bored, lonely and sad” as she is, roams through a romantic and beautiful stud farm in the accompanying music video. A person who has everything and despairs of it. “Which I can’t understand at all. I never want to be like that”, says Miriam Orth-Blau. An interesting change of characters, especially in comparison to the video “Still Me”. There you can still see the dancer (Miriam Orth-Blau has been dancing since she was three years old), happy, powerful, and remarkably authentic. And so we travel with MIBLU through this first EP “Too Close” and meet her other crazy, lovable, chaotic and also unpleasant contemporaries, fantasies, and versions of herself. We travel with them from the whispered opener “Intro LaLaLand” to the end, into the sweet, almost earthy “Secret Garden”. It’s not about Ryan Gosling, Emma Stone or forbidden fruits, but about the relationship to others, but especially to oneself. “My body, my home, my being, my control” is the meaning of “LaLaLand”. A logical continuation, if you will, of the jeans sung about in “Still Me” (“damn, I look juicy”). The party is celebrated, the empowerment is there, the self-knowledge remains – now it’s about living according to your own rules. 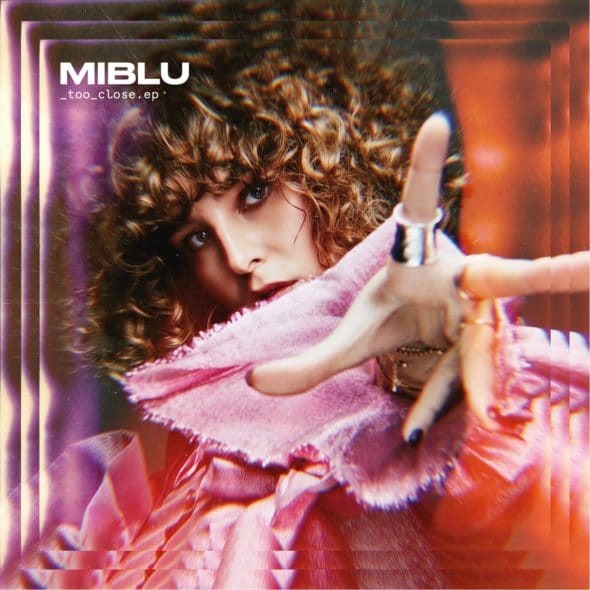 MIBLU’s “Too Close”-EP is a self-critical as well as thoroughly honest statement to herself; who this self is changes from song to song, from listener to listener. The ability to find one’s own views, qualities, or habits in the music of others is one of the most remarkable qualities of pop. To tell stories that are as universal as they are personal. By Lisa Schneider – translated from the German article (FM4) by Dave Dempsey.